Mollie Tibbetts, a 20-year-old University of Iowa student, while taking a run in the evening in July, disappeared. She never returned. Her body was found later. She had been murdered by an illegal immigrant. How many dead “Mollies” will it take before America finally realizes that the erection of “the wall” is the solution? One person does know, the President of the USA. 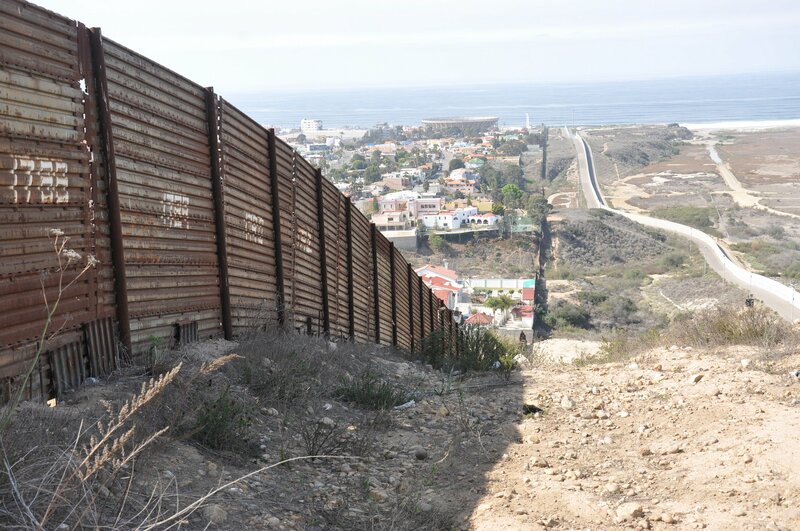 The so-called “wall” between the USA and Mexico was a “hot topic” with Donald Trump during the last election. It is still today, with more emphasis than ever. The President is adamant that the wall be built! It is truly amazing that immigration, an international movement and to some an “institution,” can wreak such havoc in people’s lives. The whole concept of immigration is to move people, for the most part, from a “dire straits” environment to one of peace where they may flourish and be of benefit to their new country. Does it matter to landed immigrants, or those seeking to enter a country legally or illegally, how they conduct themselves untoward others? Of course it does. However, there are exceptions and those individuals may not have respect for fellow human beings. Such was the case with Mollie Tibbetts. She was the subject of disrespect to the point of death. Death caused by an illegal immigrant. She was murdered. Immigration is most likely the “hottest” political movement in any country, certainly the USA given its diversity. For the most part, it is successful. However, it can also be devastating to some. Where do you draw the line between a “humanitarian” movement and one that is political? The Democrats have thrived working within a dysfunctional immigration system for years. Like many, President Trump knew this and was set on a path to change the system at the earliest opportunity. Politically speaking, does it matter what the statistics may say about crime and immigrants? A murder is a murder! Of course, a continual increase in the murder rate over years would be cause for alarm. Unfortunately, at a given point, policy takes over and the “human spirit” is lost. Associated administrative costs must be considered. The Democrats would be fine with the status quo. On the other hand, if changes are to be made they would rather see the Republicans take the rap than themselves. Donald Trump, along with the Republicans, will institute changes to the immigration system. They know most Americans want them to proceed. The Democrats know this as well, but are reluctant to fuel anger, create division and, more importantly, loose voters. We don’t want the “Mollies of America” to be the “poster girls” of politicians. These are innocent people who may have been in the so-called “wrong place at the wrong time.” Nevertheless, all politicians must realize that one more death is one too many! Mollie was supposed to be one of the many Americans to welcome the newcomers. She was never given the opportunity. So let us remember and not forget that…all in all, IT’S MORE, than just another brick in the wall! I am all for closing the southern border to all northbound non-citizen traffic. However, a wall will not keep them out unless it is guarded by the military. The most successful contemporary wall was the Iron Curtain/Berlin Wall which was guarded by the military. It worked for 44-years. Shoot a few of them and the word will get out. That’s right all of them – men, women, and children, otherwise all we are having is more rhetoric, which solves nothing. Hey Jerry, you’re a gem. So we should shoot Children- Will you be sending your kids to do that or will you be willing to man the wall? How many kids have you killed? How many women have you shot and watched die? I mean you are asking someone else to do something really horrible -Just wondering what experience you have on the subject? You think that’s something we should ask our Border Guards to do then go home to their families at the end of the day? Wonder how that would work out? Once again, our innocents die. It truly sickens the heart and makes me want to ask these politicians who deflect the questions about the Wall what their reaction would be if it occurred to one of their own? I remember during Reagan’s term when Amnesty was to be the last time anything like it was to occur. So much for that. Congress makes the law and the executive enforces it – too bad that it doesn’t seem to be taught anymore in schools. What innocents, Bob? Not the illegal aliens, surely? Colorado, formerly Texas Deplorable. God bless the Confederacy! This Son of Union Army Veterans salutes you. Ray, Stop, Saluting a man that wants to shoot women and children? Ray, how many Women and Children did you shoot while the 7th Cav guarded the Saudi Border during the Gulf War? You ever had to shoot a child? Yet you salute a man that just called for that? Do you think we should tell our Border Guards to shoot unarmed women and children? Come on Ray- I’m really hoping you’ll answer that one. I double dare ya! There were two parts to the Gulf War, Fred, Desert Shield, defensive and Desert Storm, offensive. No one is shooting anyone on the border. You need to stop watching MSNBC. Hell, yeah, I saluted him. The CSA and especially the Army of Northern Virginia was one heck of a fighting force. My three relatives who fought for the North would probably agree with me! Once again Fred, no one is shooting anyone at our borders. Stop watching the communist propaganda on CNN and turn on Alex Jones. We have no Berlin Wall here in America. The last time I checked Fred, there were no Alsatians, mines, or self-detonating machine guns along the US Southern Border. a very dear and close friend of mine lives in iowa,,,,,some say it is a colony of liberals who can be counted on to go easy on wrong doers…..I WANT YOU TO YOUTUBE,,,,,WALMART PELLA TRUCK DRIVER, DECEMBER 1 2016,,,,pella iowa is a disneyesque town come to real life,,,,,,then google the aftermath,,,,,you will not believe how this horror tragedy ends. FRED BOENIG,,,,,,you make no sense,,,you did not comprehend what i said,,,are you a high school drop out?,,,,,,is english your third language?,,,,,,did you do what i asked in researching the pellla iowa tragedy?,,,,,you are a RAMBLING INCOHERENT IMBECILE THAT CANNOT THINK LOGICALLY….and cannot communicate concisely…..you are a mindless troll that should see a psychiatrist. The great, great grandson of Confederate Army and cavalry veterans, and a Life Member of the Sons of Confederate Veterans salutes you sir, and thanks you for your work. The illegal aliens have to be stopped, all of them, even the kids – nits make lice. If you don’t know that, Fred, you are way to stupid for me to talk to. That being the case, you are the enemy. Sides have been picked for what will certainly come to this country. As a country we can’t agree on anything, Fred, we are not united and therefore we have separated into different camps. Historically speaking that will lead to only one place, we are done as country. If you can’t figure that out, don’t bother me with your stupidity. This Fred guy is a real nut, Ray. He doesn’t get anything, and he obviously only listens to the left wing, socialist, MSNBC, CBS, etc. Thanks for your answer to his left-wing rants, it saves me the trouble and you have more horsepower, being the author of this site.